Built on the site of the first St. Matthew’s Church (c. 1768) and the site of the 1788 NC constitutional Convention, this simple church, built in 1816, is believed to be the oldest Presbyterian structure in continuous use in North Carolina. 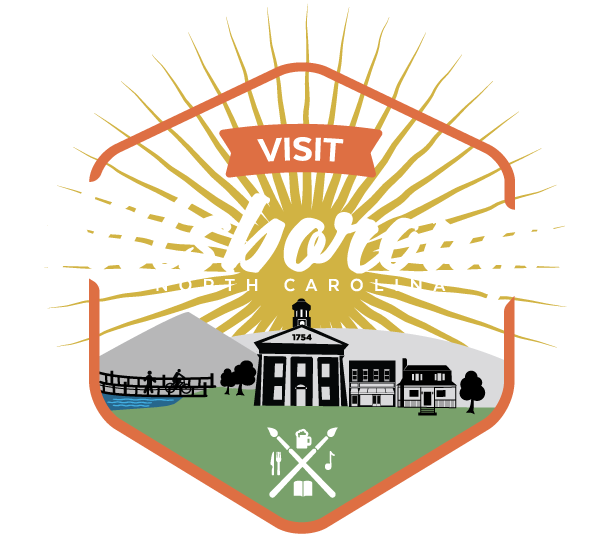 Between the 1790s and 1816, Hillsborough had no church building. In 1810 a state lottery was authorized to raise money for a building. Possibly designed and built by Samuel Hancock with assistance by a young John berry, this church first began Presbyterian worship in 1816. The Rev. John Knox Witherspoon was the organizer and first pastor. He was the grandson of Rev. John Witherspoon, a New Jersey signer of the Declaration of Independence and President of Nassau Hall (Princeton University). John K. Witherspoon is buried in the Nash family plot, close to the west wall of the cemetery. An 1835 watercolor shows the church as a plain brick structure with a hipped roof and double-hung sash windows. In 1892 the church was extensively remodeled. The present tower and spire were added at that time. Of historical interest is a list of pew rents and other framed documents on display in the vestibule.